Every outdoorsman needs to know the symptoms of a heart attack. Here’s the story of my wake-up call. I felt fine on the morning of Dec. 13, 2012. But the night before, during my daily 1.4-mile power-walk with the dog, I felt an unusual shortness of breath, and a tightness in the middle of my chest. That tightness vanished as soon as I stopped for a moment. That was it, as far as any symptoms went. Typically, I power-walk uphill every night, with the intent of getting my cardiovascular system going, and elevating my heart rate. A few times in the weeks previous, I noticed what I thought was mild heartburn after eating dinner and I did seem to be getting winded sooner. All these symptoms disappeared as soon as I stopped for a few moments. In retrospect, I should have figured something was going on. But this night, I only made about 100 yards up the usual hill before getting winded. The C.T. Fischer four-inch Bushcraft is a great choice for an all-around, everyday carry knife. Check it out! 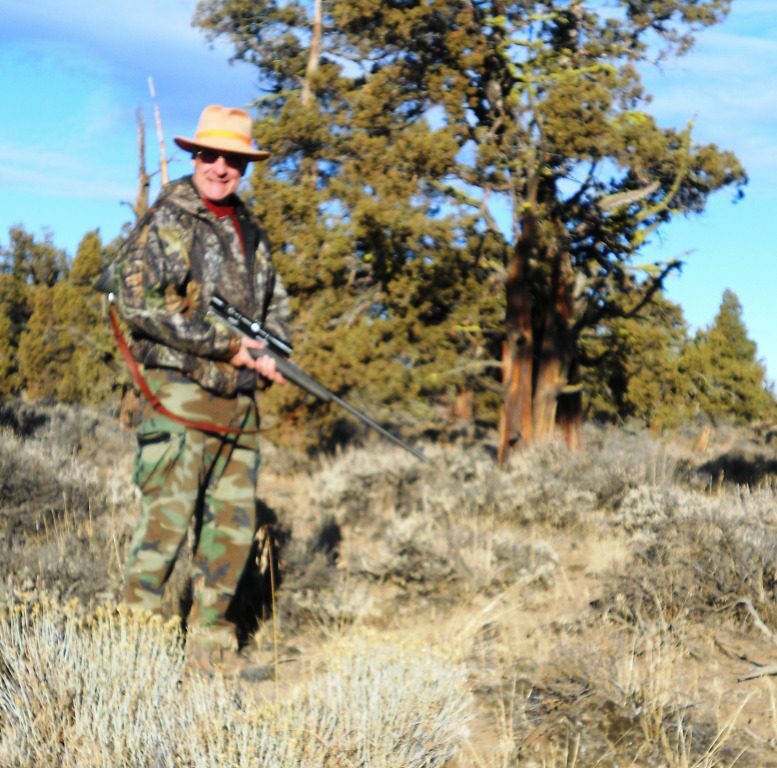 Me, attempting to fill my high desert elk tag and bring home some meat. Big game hunting is part of my lifestyle. Luckily, I had taken an extensive Wilderness First Aid class required for Boy Scout leaders in June, and knew that many heart attacks don’t have real dramatic signs. Long story short, I went into the Bend (OR) Medical Center Urgent Care Center the next morning. After a quick exam, I was taken to nearby St. Charles Hospital by ambulance. The next day, I had quadruple bypass open heart surgery. If I hadn’t gone to the clinic when I did, my cardiologist says I would have had a massive stroke or heart attack “very soon.” As in VERY soon. Here is the point: If this happened to me, it could happen to you. For the sake of yourself and a loved one, you must know the symptoms of a heart attack (See the list below). According to the American Heart Association, about a million people have heart attacks in the United States every year. Heart attacks kill more people each year, according to the association, than all the cancers. The scary part is that some people have a heart attack without having any symptoms (a “silent” myocardial infarction). A silent MI can occur in anyone, but it is more common among diabetics. I thought so, too. On my 60th birthday in July, I did 62 push-ups in 60 seconds, 12 pull-ups and power-walked two miles. Three days prior to the dog walking incident, I did my usual gym workout of 15 minutes of weight training, 15 minutes on the elliptical machine and 30 minutes on a recumbent bicycle. On the day of surgery, I was five-foot, 10-inches tall, and weighed 192 pounds. I try to eat a healthy diet, take a nutritious lunch to work and frequently walk during my lunch hour. I’ve always been in good physical shape. I started running in high school, and by the time my knees finally wore out, at age 55, had logged about 40,000 miles. I was active in Taekwondo for 30 years, backpacked and bicycled. I thought I was doing everything right. But that apparently doesn’t mean much when your family has a history of heart disease. My mom died of a massive coronary when she was 60 years old. Her brother, Vincent Wirth, died of the same thing when he was 54. Mom’s sister, Alina Lynch had massive bypass heart surgery. My grandfather, Leo Wirth, died of heart problems when he was 62. Everybody is different. Genetically, all of us are dealt a different hand, and we have to play the cards we draw. But let me urge you: No matter what your family’s medical history is, learn the symptoms of a heart attack. Most importantly, if you suspect ANYTHING is going amiss, call 911 and have it checked out. Other symptoms may include breaking out in a cold sweat, nausea or light-headedness. At the first signs of a heart attack, call for emergency treatment (usually 911). The best time to treat a heart attack is within one to two hours of the first onset of symptoms. Waiting longer increases the damage to your heart and reduces your chance of survival. 6 Comments on "Serious as a heart attack: Every outdoorsman should know the symptoms"
I had 3 stents put in March 1st 2012. Maple Syrup season… I was cutting felled logs and loading them to haul for the Syrup Stove for cutting and splitting…and kept feeling a half dollar size area above the heart that felt like heartburn.. I would sit a minute and it would go away….go grab another arm load of wood and it would start back up. Knowing my Grandfather died at around my age in 1943 from a heart attack, and my Dad had a silent heart attack AT my age, and by the time it was discovered the damage could not be repaired, I called my Doctor….who said to get my backside to the hospital. I past the EKG and the Blood work several times (Barely) but they were hearing a Murmer….so as a precaution they did a Heart cath and found 3 blockages….70% 80% and 90%… No heart attack, therefor no damage to my heart….My BP is perfect and except for Arthritis I feel Great. SO YES, Most definitely…. If you feel anything unusual in your chest at all…..especially if it goes away when you sit down, and comes back when active…..do not hesitate hoping it will go away, GET IT CHECKED ASAP…. If it turns out to be nothing, Kool…..but if you can catch it BEFORE the Heart Attack….life afterward, like in only a few days will be so much better. Thank you for a great article Mr. Pantenburg. My heart attack 3 years ago happened in about the same manner. Mild symptoms that came on suddenly and then increased to moderate. Docs said if I would have just thought it to be discomfort and went home to sleep, I would’ve never awoke. I ended up having a Quadruple done at 39 years old, I know, a youngin’. Learn from others experiences, don’t pass something like these symptoms off. Better to be safe than sorry. If ignored they could turn out to be as serious as a…..
Wow – sounds like we were both very lucky! Thanks for the feedback!